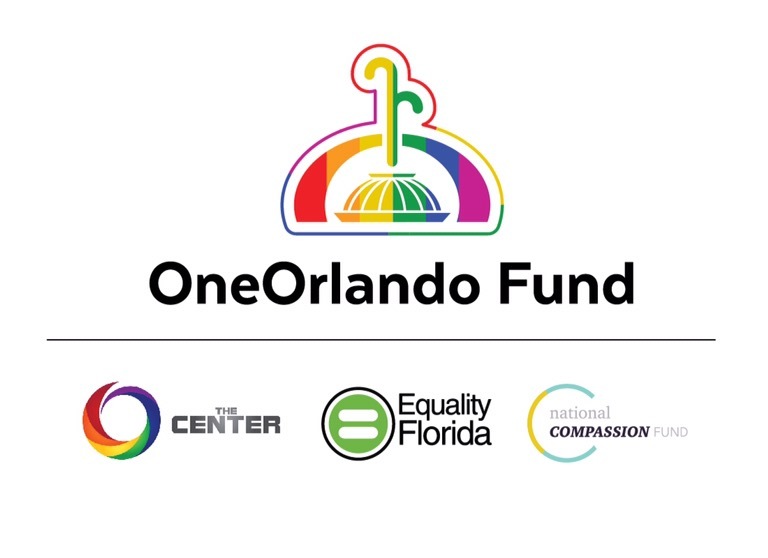 Today, Equality Florida, the GLBT Community Center of Central Florida (The Center) and the National Compassion Fund announced a partnership with OneOrlando to ensure all funds collected for victims are disbursed in a unified process that will expedite funds, ensure transparency and safeguard against fraud. Combined the organizations have raised over $17 million to assist the families of the 49 killed, the 53 who were shot and the hundreds also targeted June 12 at the Pulse night club. “Words cannot express how grateful we continue to be for the outpouring of generosity our community’s received as the people from around the globe continue to contribute funds to OneOrlando to deliver the critical help and healing the victims’ families and survivors need to aid in their recovery,” said Orlando Mayor Buddy Dyer. Equality Florida has raised $7 million largely via social media in a campaign that has set records for online philanthropy. The statewide LGBT organization partnered immediately with the National Compassion Fund, experts in managing disbursement following mass shootings. “We made three promises to all donors to the victim’s fund from day one: Every penny we receive will go to victims and survivors without exception. We would be transparent about the process for disbursement and we would do everything to expedite the funds while screening carefully for fraudsters. This partnership maintains those commitments and increases the funding dedicated to those who died and those whose lives have been shattered by this vicious hate crime,” said Nadine Smith, Equality Florida Executive Director. “We at The Center are grateful to be able to join our Victim’s fund with those of Equality Florida and OneOrlando. By unifying the funds, we will be able to ensure that those affected by this tragedy have a single resource to assist in the long road to recovery ahead of our community. We look forward to working together to ensure our community is taken care of in the best way possible,” said Tim Vargas, The Center’s Board President. To date, with these partnerships and the generous donations from individuals and corporations from around the globe, more than $17 million has been pledged or donated to go directly to the victims’ families and survivors. Donations are still being accepted and are encouraged to further the impact this fund will have on those most affected and impacted by the tragic events on June 12, 2016. To support the victims’ families and survivors, visit OneOrlando.org. Next Post LEGOLAND® California Resort Officially Unveils Tallest Lego® Building in the United States in Time for Independence Day!